Hotel Villa Cipriani Asolo, Hotel Italy. Limited Time Offer! Hotel Villa Cipriani. 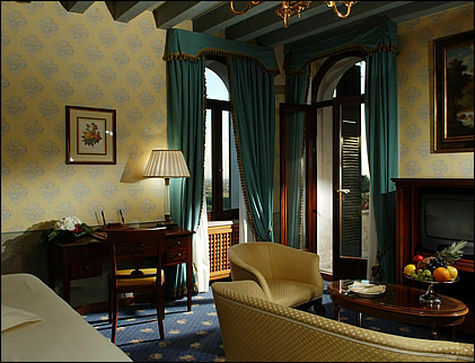 "Hotel Villa Cipriani" is a hotel that is perfectly suitable for families. 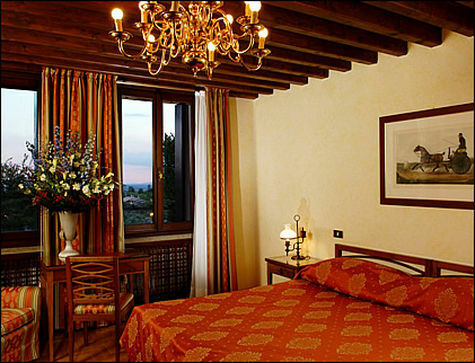 It has received 4 stars and it is a convenient pied-a-terre from which to discover Asolo. This residence has a capacity of 31 bedrooms. All of the accommodation's rooms are elegant. The temperature is never too hot thanks to the relieving air conditioning. Children can play safely in the privacy of the garden. Helicopter/airplane tours, Eco Tours and birdwatching are some of the activities that this hotel offers. There are also numerous sports for visitors, such as tennis, rafting, yoga, alpine skiing, golf, horse riding and pilates. The facilities include a gymnasium, boats, a walking trail and a running track as well as a bicycle rental service. Enjoy a visit to the onsite spa to recover from your physical activities. To bring you more chances to relax, the accommodation has a sauna. You can offer yourself, for example, a relaxing massage treatment. Meanwhile, at the child care facilities, children are offered a safe area to play with other kids. The onsite restaurant serves an appetizing dinner. For a drink before or after dinner, you will find the lounge bar most welcoming. To add to your stay, breakfast is included. Internet access and an airport shuttle are available. Surrounded by a 25.000 m² garden, Country House Barone d’Asolo offers a quiet location in the Veneto countryside, 3 km from Asolo. Wi-Fi is free and the restaurant serves meat and fish specialities.